This fine ring created by Dina Huntinghorse highlights a gorgeous domed natural turquoise from the seldom seen Brannon Blue claim found in the Pilot Mountains of north central Nevada. 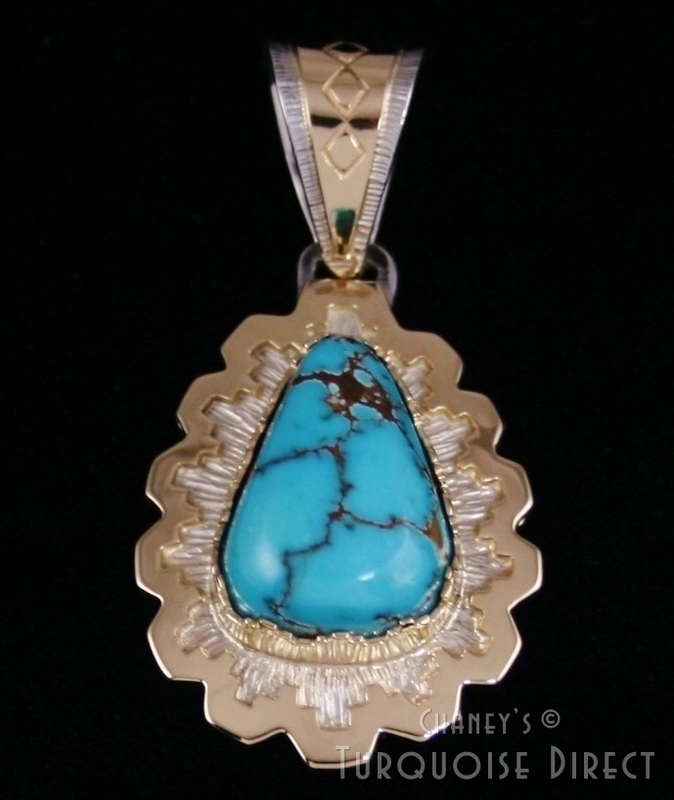 The gem is bright sky blue with vibrant flecks of gold host rock matrix. It sits in a hand chiseled bezel made of solid 14 karat gold atop a matching overlaid gold ring face and shank. The ring face exhibits Dina’s signature floral pattern and the shank features a step design, finishing the ring to perfection. Ring Size: 8-1/2 Stone Size: 5/8 in. x 7/16 in. This piece can be re-sized upon request for an additional fee. 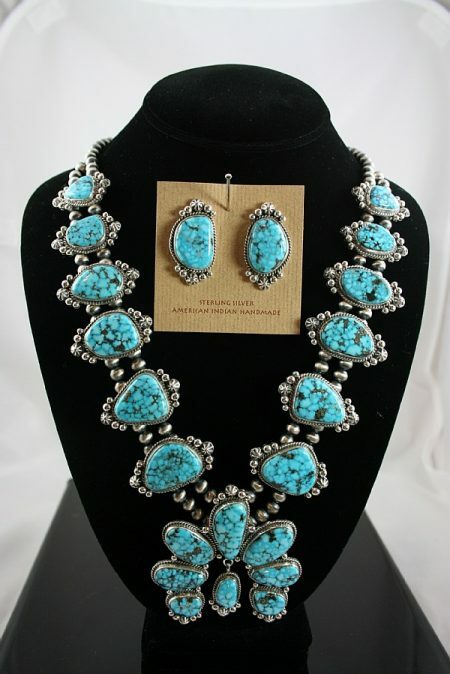 Turquoise Direct utilizes the United States Postal Service for both domestic and international shipments. However, if USPS does not service your area, we will ship via UPS or FedEx. We will insure each shipment for its full value and send it with Delivery Confirmation. Charges for standard USPS domestic shipments will include a handling fee of $4.00 to cover materials and labor. Shipment fees will be based on value of the item with a formula of $1.00 per $100 value plus the handling fee. The $1.00 per $100.00 value is based on the wholesale price. We will gladly accommodate requests for priority or overnight shipment, with the costs discussed at the time of purchase. Charges for UPS or FedEx will also be assessed on a case by case basis. For heavy or specialty items such as sculptures, paintings or rugs, charges will be assessed on an individual basis prior to shipment. International shipping charges will be assessed on a case by case basis. Variables will include weight, value and speed at which the item is requested to be shipped. All international shipments will be insured for full value and sent via Air Mail. Please be assured that the greatest care will be used in packaging and shipping. In cases where an item is especially fragile, such as a sculpture or painting, we may utilize a professional shipping service to achieve the highest level of assurance that it will arrive undamaged. Turquoise Direct has a policy of complete customer satisfaction. An item may be returned within fifteen (15) days of receipt for a full refund for any reason whatsoever. An item may be returned within thirty (30) days for a credit toward purchase of a substitute item. Shipping and insurance costs associated with the purchase are not refundable or creditable. Any item must be returned in the same condition and size as when it was sent. If an item is returned in a damaged or altered state, we will inform you of the cost of repair and debit your refund or credit for that amount. Please contact us prior to attempting to size an item. We may have suggestions to help you adjust a size without damaging the item. Please contact us when you are returning an item. It should be sent with a tracking number so that both parties can have access to the details of shipment. Items lost in shipping will be handled on an individual basis. Although rare, should this happen, please call or email us so that we can begin the process of tracking the item and recovering costs. 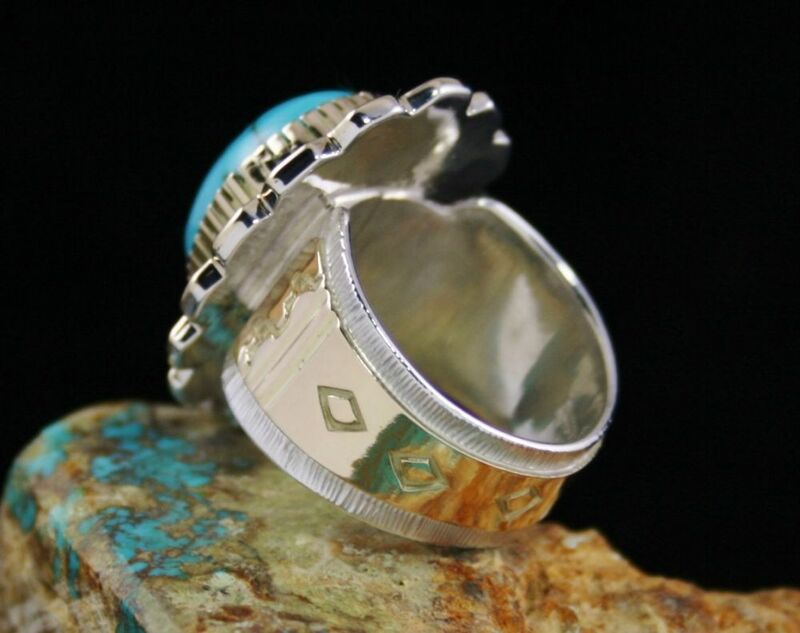 This beautiful piece hand fabricated by award winning Navajo artist Jim Harrison features amazing fine inlay in sterling silver. 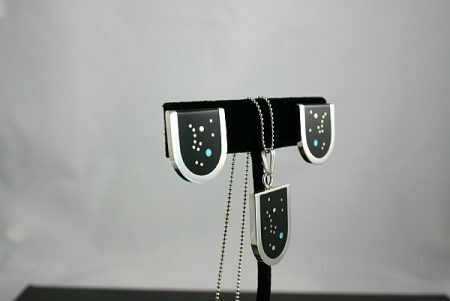 The artist included a gorgeous moon and stars design with small sterling silver droplets surrounded by onyx and a hint of Sleeping Beauty turquoise with wonderful contemporary detail. This incredible fine quality piece created by award winning Navajo artist Jim Harrison features gorgeous gem grade Mediterranean coral inlay. 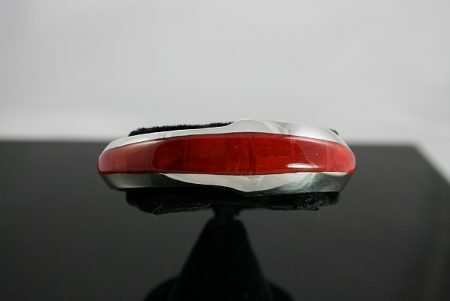 The gem quality coral is an eye catching deep red and is inlayed with such skill that it seems like one continuing stream of inlay rather than thin strips. The item has a flared edge design towards the center of the piece unique to the artist. 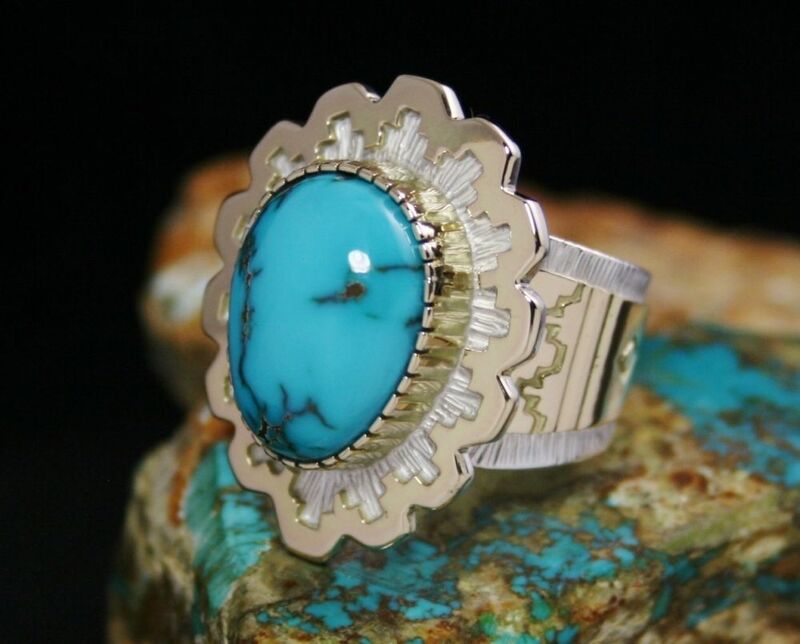 This magnificent one of a kind piece created by Navajo artist Derrick Gordon features an exceptional gem grade Pilot Mountain turquoise cabochon. The stone has incredible hues of blue and green with stunning reddish-brown matrix. 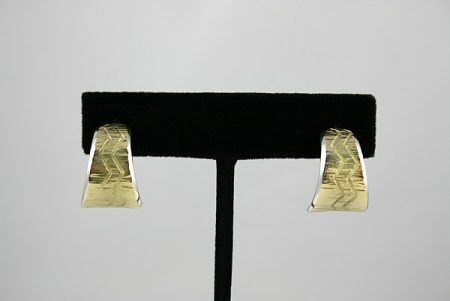 The artist included the use of hand-twisted wire to border the stone as well as an arrow design pointing down towards the end of each side of the piece. There are also unique cutouts, fine stamp work, as well as eight large sterling silver droplets. 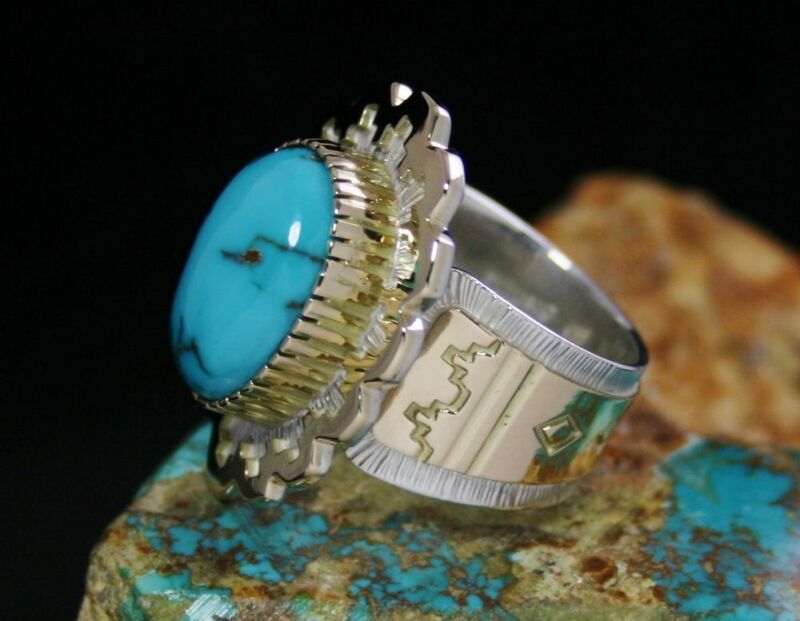 This gorgeous piece created by award winning Navajo artist Alfred Joe features exceptional design in solid 14K gold over sterling silver. 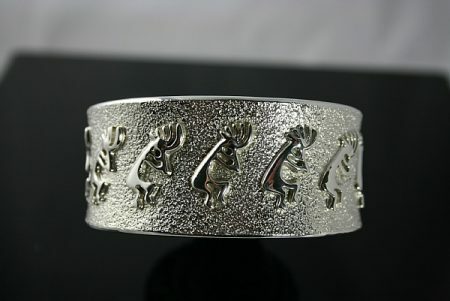 The artist included beautiful v stamp symbols extending the length of the piece with incredible contemporary silver work. 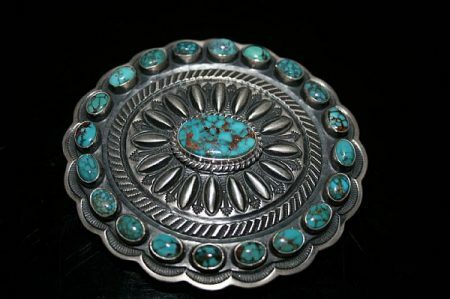 This amazing piece created by Navajo artist Darell Cadman features three gorgeous rare Dry Creek turquoise cabochons and two stunning sugulite stones. 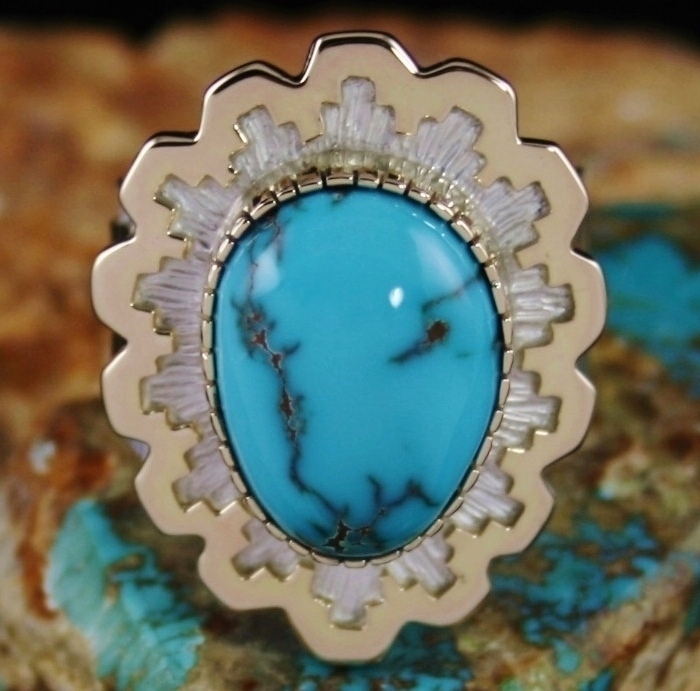 The rare Dry Creek turquoise cabs in this item are all a beautiful white-blue with tan matrix and the sugulite is deep purple. The artist used deep stamp work on this item making it a high quality piece. 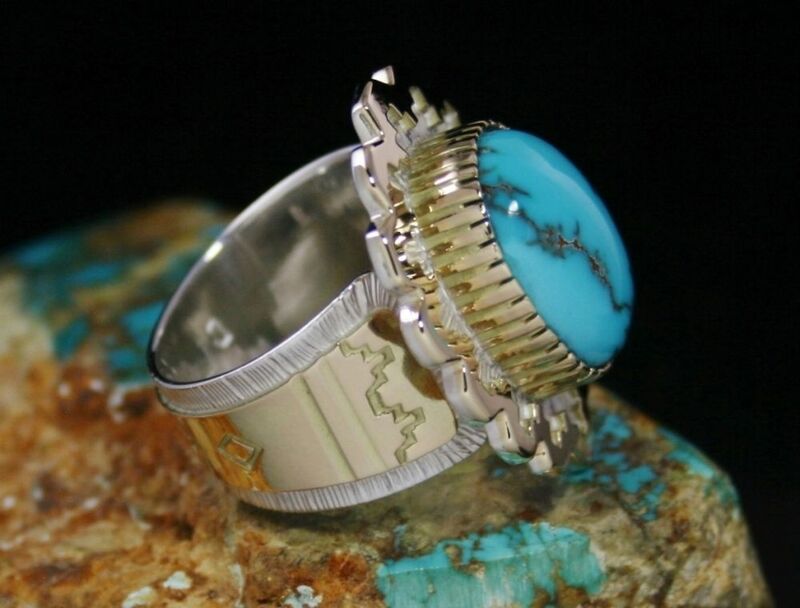 This gorgeous piece created by Navajo artist Derrick Gordon features a beautiful Pilot Mountain turquoise stone. The cabochon is an amazing deep green with golden brown and tan matrix. The silver work is stunning as well with sterling silver droplets hand twisted wire and a wonderful design on the shank. 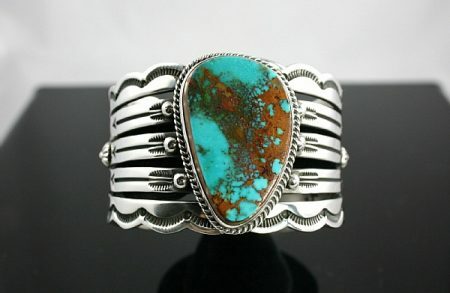 This beautiful piece created by Navajo artist Darrell Cadman features twenty gorgeous rare Red Mountain Spiderweb turquoise stones surrounding a large Red Mountain cabochon in the center. Each of the stones is an incredible deep blue with tight deep red spiderweb matrix. The item also portrays stunning silver work with reposse designs and arrows in between pointing away from the center stone. 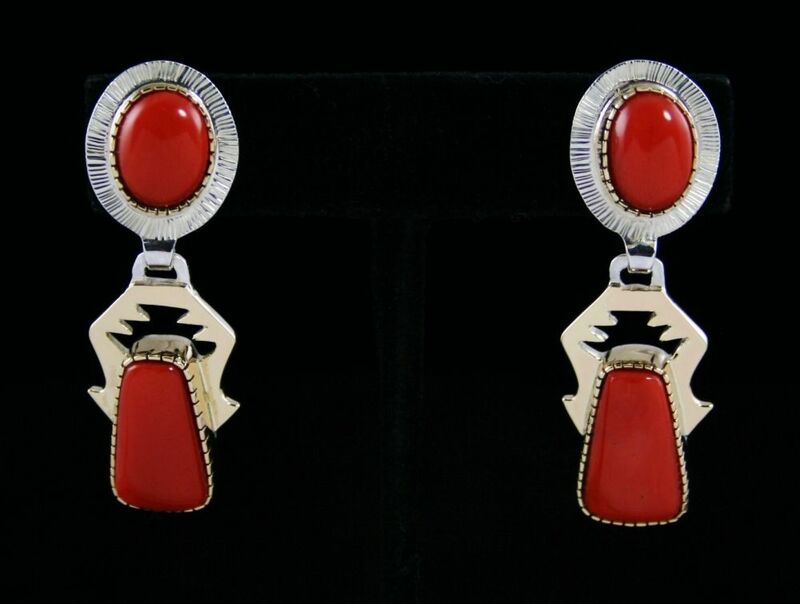 This piece created by Navajo artist Lee Charley features fifteen gorgeous deep red gem grade Mediterranean coral cabochons set in sterling silver with beautiful traditional design. 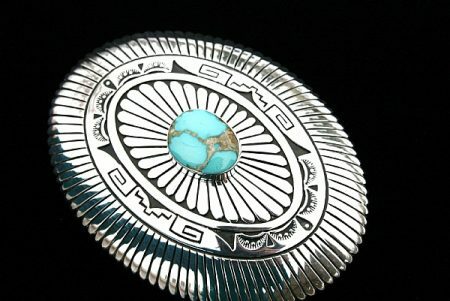 This beautiful piece created by award winning Navajo artist Charlie John features a stunning high grade Royston turquoise cabochon. 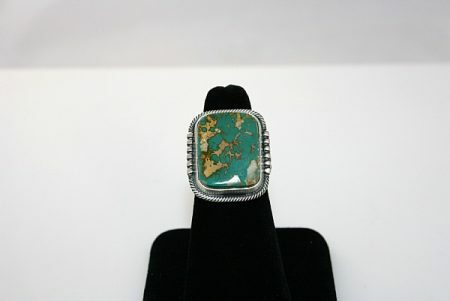 The stone depicted is a gorgeous blue green with tan and brown matrix. The artist also included amazing deep oxidation used to outline the intricate contemporary detail of the item. This exceptional one of a kind sculpture was created by award winning Jemez Pueblo artist, Victor Vigil. 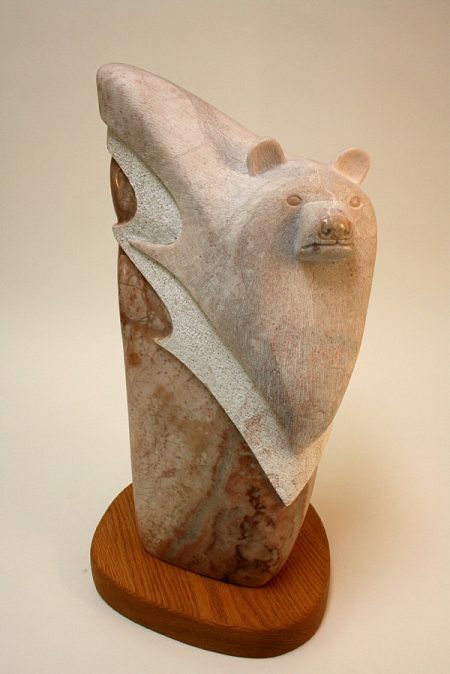 The piece is hand made from incredibly gorgeous Colorado alabaster and features an absolutely stunning bear design. With intricate detail and beautiful variations of color this piece is highly collectible and eye-catching in every way. 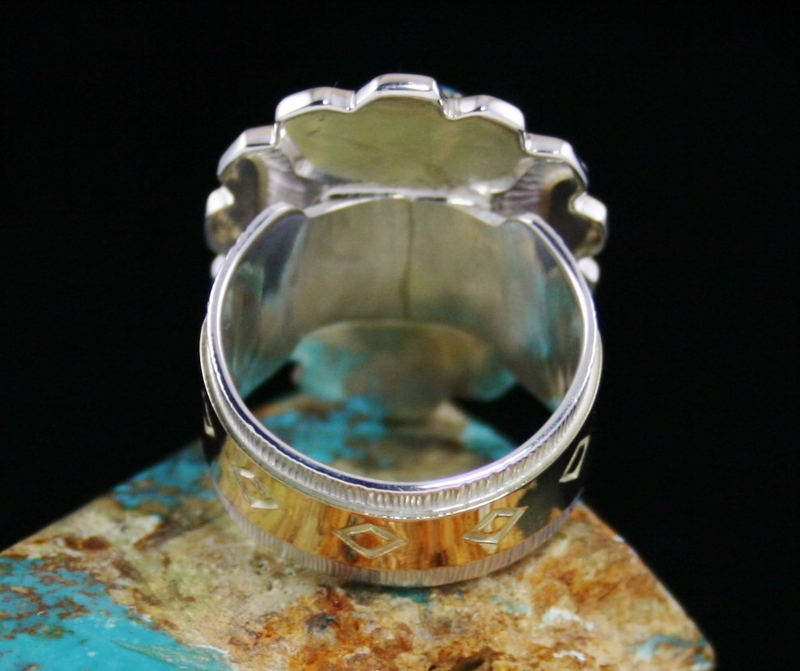 This amazing piece created by award winning Navajo artist Al Joe features seven beautiful kokopelis and incredible contemporary silver work with a comfort fit design on the inside. 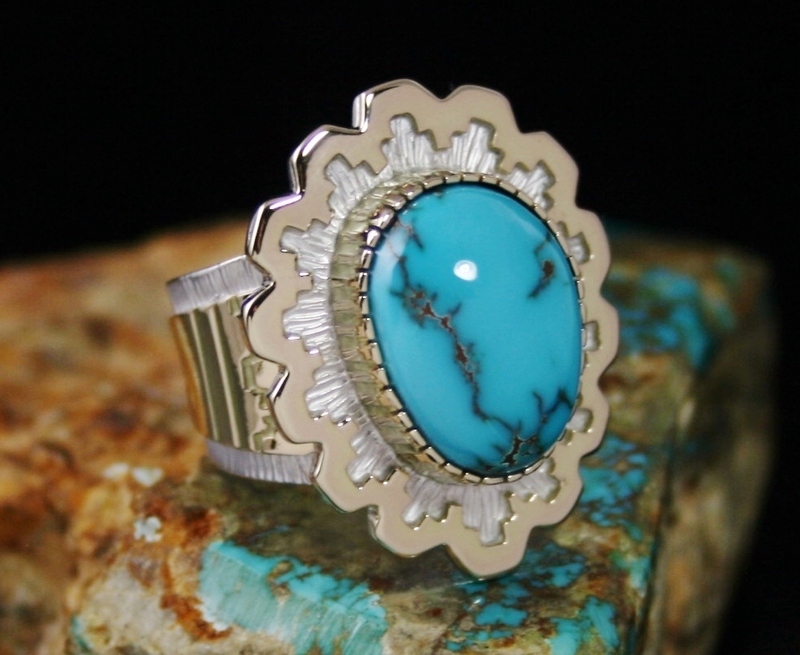 This elegant awe inspiring one of a kind piece created by Navajo artist Guy Hoskie is set with perfectly matched high grade Kingman Spiderweb turquoise. 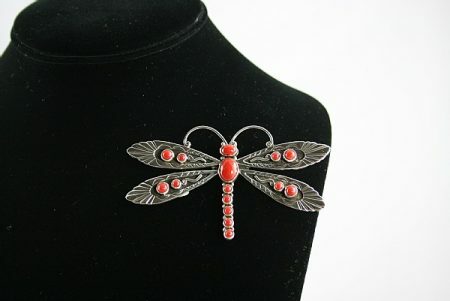 The cabochons in this item are spectacular. They all vary in hue from deep to sky blue with incredible chocolate-brown and grey spiderweb matrix. The craftsmanship is exceptional with fine hand-twisted wire around each stone and detailed sterling silver droplets. This is an amazing high quality piece guaranteed to make any outing extra special. 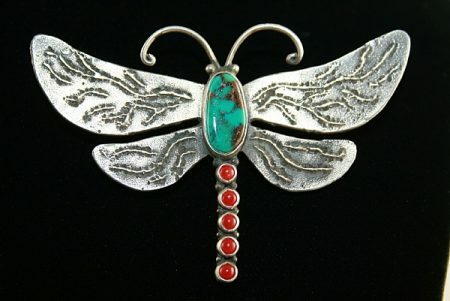 This beautiful piece created by Navajo artist Lee Charley features an amazing tufa cast dragonfly with a gorgeous high grade Royston turquoise stone and five stunning deep red gem grade Mediterranean coral cabochons all set to outline the body of the creature. 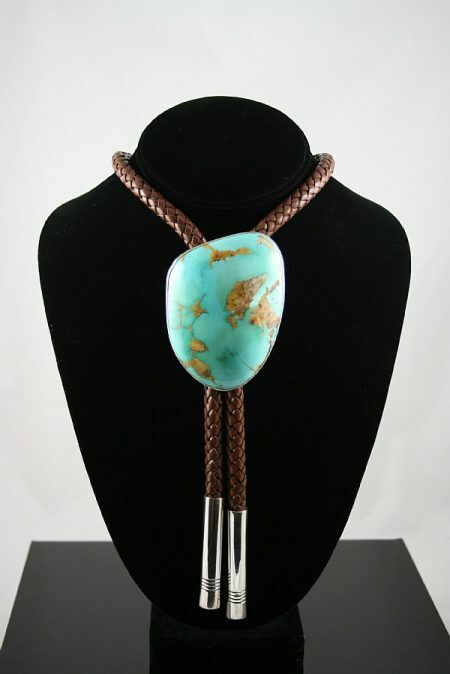 The Royston turquoise in this piece is a stunning deep blue-green with a hint of dark reddish-brown matrix. 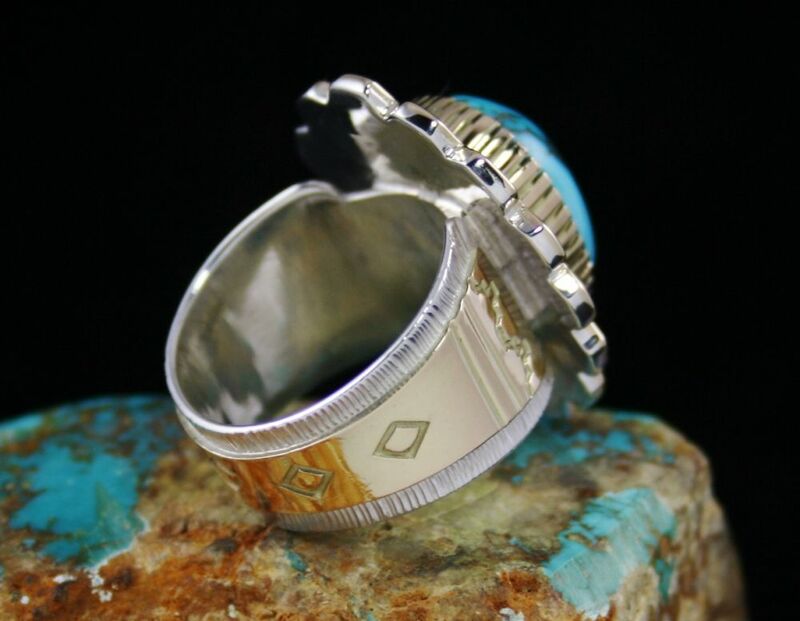 Tufa casting is an ancient process where the artist carves a particular design into a tufa or sandstone pours molten silver into it therefore yielding a one of a kind item. This process can only be used two to three times before the design is destroyed by the molten material. This is a much more labor intensive process than conventional investment casting which produces an infinite number of identical images. 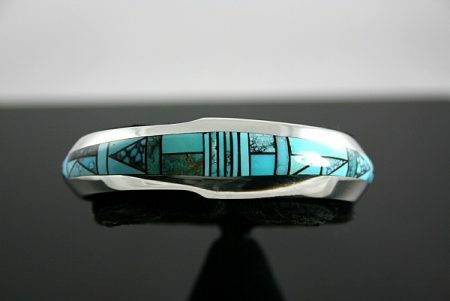 This amazing piece hand fabricated by award winning Navajo artist Jim Harrison features beautiful Kingman turquoise and onyx inlay. The stone is a gorgeous light blue with dark brown spiderweb matrix and is divided with fine thin strips of black onyx. The artist included wonderful contemporary silver work with flared edges at the center of the piece and a tapered design going from slender at the terminals to wide in the middle. 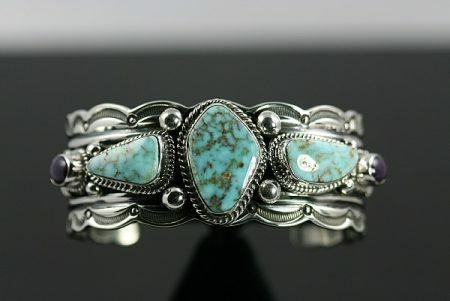 This incredibly beautiful piece created by Navajo artist Al Jake features a gorgeous Royston turquoise specimen set in sterling silver with detailed traditional silver work.